When you think of some of the Earth’s most beautiful landscapes; the Norwegian Fjords offer vistas of unparalled beauty. Through majestic blue, gushing waterfalls and rugged snow-tipped peaks, the fjords are saltwater lakes. They are the soul and the beating heart of Norway. They also make for dream photography on your Norway travel! This pristine scenery has a history dating back to the Ice Age, bringing with it a unique purity only found in the depths of nature. There are actually more than a thousand fjords in Norway peppered along the coast. The fjord areas are easy to navigate on your own or with guided tours and you will return home with some truly astonishing travel photography. If you don’t have access to a car or want to save money, public transportation is incredible in the fjord regions, even to more remote, secluded areas. If you do choose to travel by car, however, you can drive across National Tourist Roads that will give you and your travel mates incomparable sights of Norwegian culture. 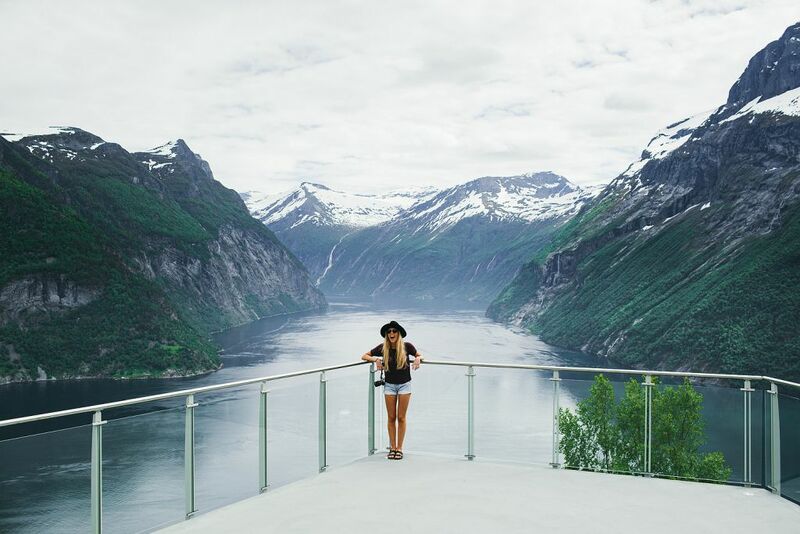 Travel to Norway for a perfect summer holiday – your Norway travel photography is bound to inspire Insta-envy! 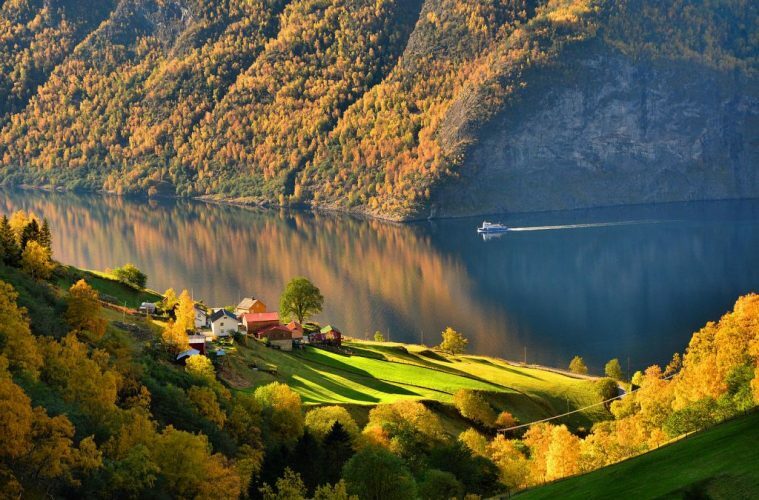 The Naeroyfjord in Sogn is one of the Earth’s most gorgeous fjords. Its name originates from the Norse God “Njord,” meaning God of the Seafarer and the Sea. Suits it well, huh? This picturesque fjord settles around mountains up to 1,700 meters tall. Between its hanging valleys and snowfields to its trickling waterfalls and treetops, the Naeroyfjord is the narrowest and best known of the many attractions in Sogn. It’s believed to be the most outstanding natural landscape in all of the country. But, we’ll let you be the judge – I guarantee you won’t be disappointed! UNESCO has included the Naeroyfjord in its famous World Heritage Sites list and is a definite must when you travel here. Make this your first stop among many during your travel experience in this magical country! The Sognefjord is the country’s longest and deepest fjord and is the second longest in the world. Interestingly, at its deepest depths, it plunges to more than 4,265 feet, while the mountains along its waters rise to more than 5,577 feet! That means the region’s waters are nearly as deep as the mountains are high! This beautiful stretch of landscape extends from the coast to the National Parks of Jotunheimen and Jostedalsbreen. There are plenty of areas to hike, take a kayaking trip, a boat tour, or just explore by yourself! 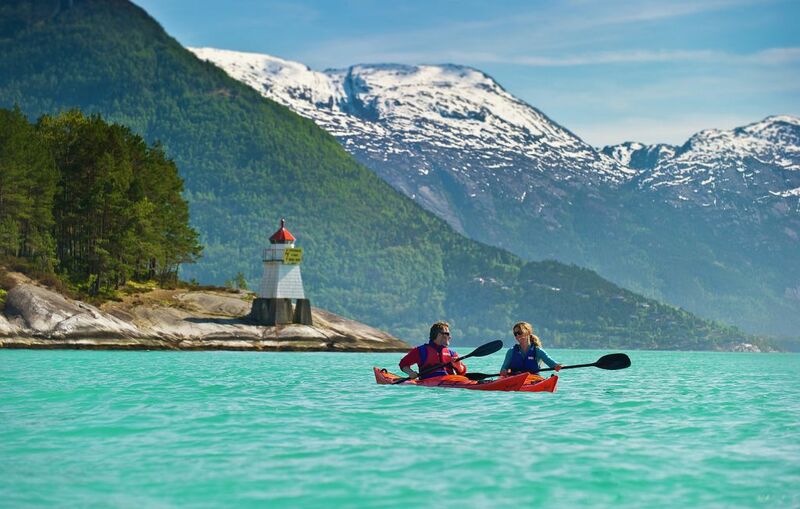 The Sognefjord is the ideal place for adventure seekers. And, since the National Geographic Traveler magazine called the Sognefjord “the world’s most iconic destination,” who wouldn’t want to travel here? Let’s start summer off right and return with some amazing travel photography. The Geirangerfjord is another UNESCO-protected site and is tough competition when it comes to comparing its beauty with other Norwegian fjords. This fjord certainly evokes the feelings of being in the middle of a fairytale, how the mountains seem to hold the wild waterfalls and the lush, green hills in its arms, and how, like in a story, the Geirangerfjord has a way of letting things fall into place. Whether in the center of a fog-blanketed mist in the morning or under a cloudless sky, you will fall in love with the fjords at every turn. 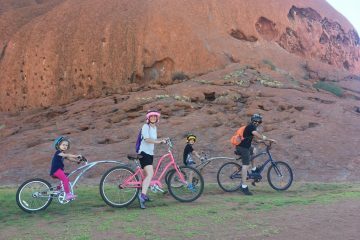 Hop on a cruise, trek its mountains (you might just see a goat), see how the locals live, or even go rafting with friends or family! The Geirangerfjord will be a memorable stop during your Norway journey – and of course, makes for unforgettable travel photography. The Hardangerfjord is the fourth longest fjord in the world, and the second longest in the country. You can find this enchanting refuge of nature in Hordaland county in the Hardanger region. The most popular activity at the Hardangerfjord in hiking Trolltunga. It’s one of the most spectacular scenic cliff-views. Allow for ten to twelve hours total for this long and demanding hike. 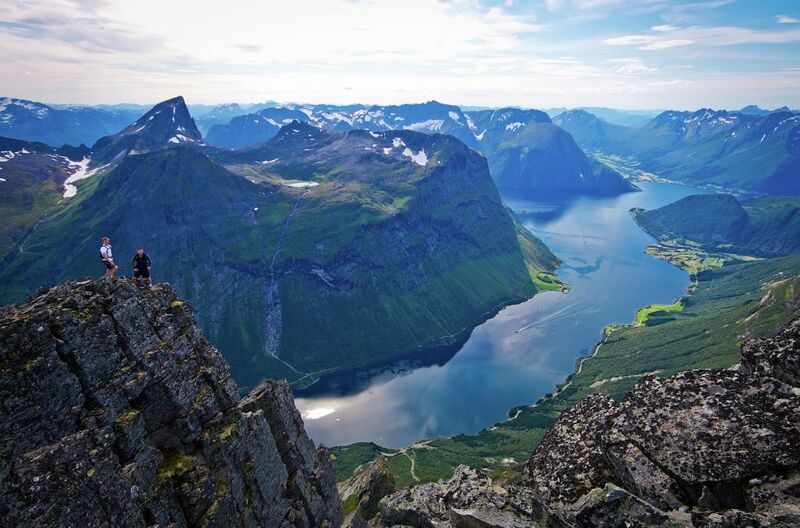 It starts in Skjeggedal and goes through high mountains, and is, without a doubt, worth the climb – and you’ll have stunning travel photography to prove it! You’ll be confronted with breathtaking imagery of the natural riches of the country. From the top, you’ll be able to see the sparkling, saltwater lakes tucked in between rocky hillsides. 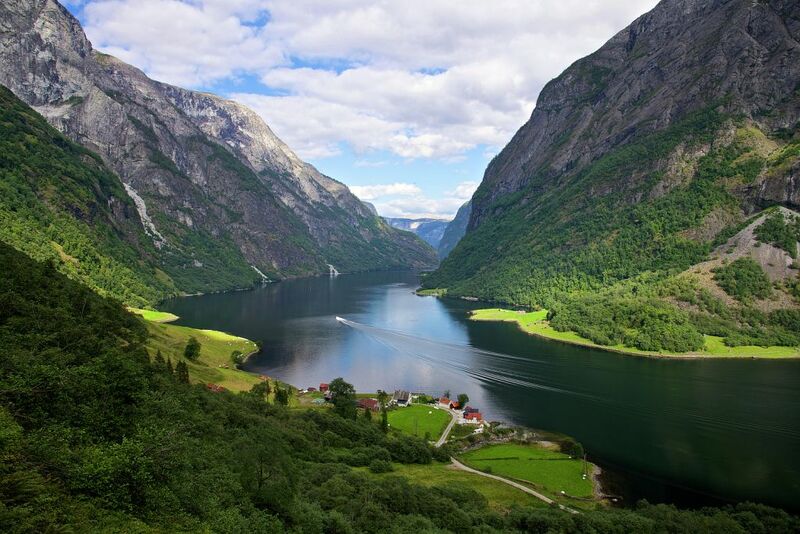 Get ready for the ultimate travel experience at the Norwegian Fjords! The Lysefjord is the southernmost of the largest fjords in the country. 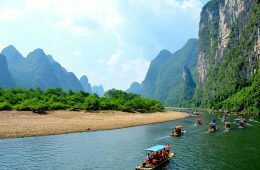 It’s surrounded by steep mountains that are more than 1,000 meters high. 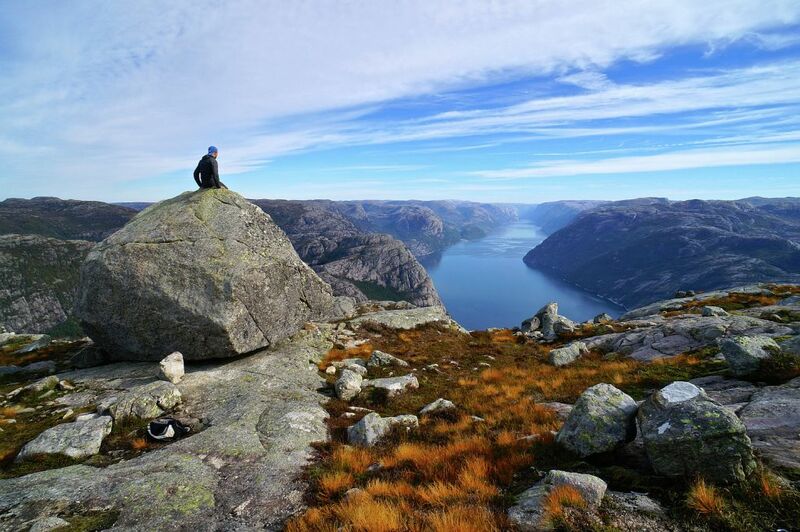 Pulpit Rock and Mount Kjerag are the two most popular sights in the Lysefjord. They’re internationally renowned tourist travel destinations and hundreds of thousands of people visit here each year! This amazing landscape offers you Utopian islands and postcard-perfect views of nature – again, ideal for travel photography. You can hike to the Vagabonds’ Cave or get a taste of the fresh mountain water from the Hengjane waterfall. It’s an experience for an entire year, and every single season has its charm and personal quirks. So, travel here to bathe under the sun while exploring this incredible piece of the natural world! Along with the Naeroyfjord, the Aurlandsfjord is one of the most beautiful fjords in the world. 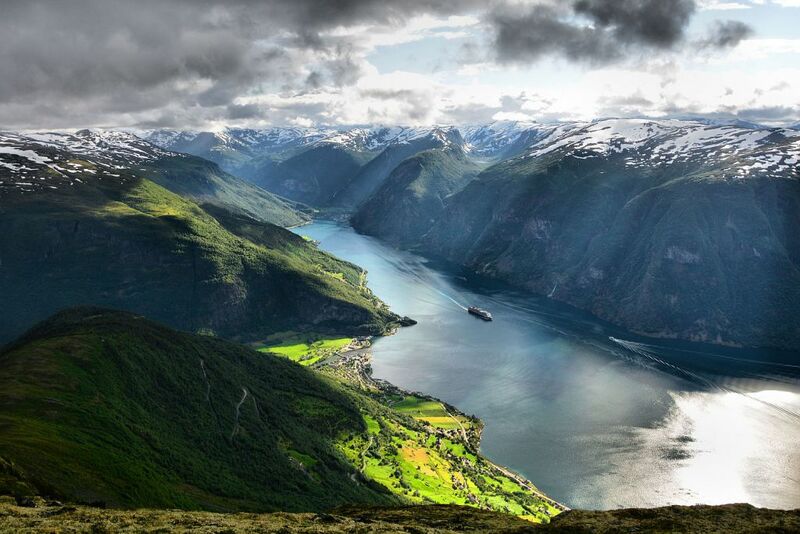 It’s a 17-kilometer part of the second longest fjord, the Sognefjord. Beginning at the fairytale village of Flåm and ending at Mount Beitelen, where Naeroyfjord takes the lead, the Aurlandsfjord is best known for its green valleys, its winding river systems, and its snow-kissed mountains. You can experience this wonder by boat, in a kayak, or on foot, whatever fits your travel preferences. Take a moment to bask in the glories of nature: the untainted silence of the region, the peaceful ways of water trickling down to greet the grass, and the sweet sounds of birds singing in the winds. It’s literally the definition of heaven! 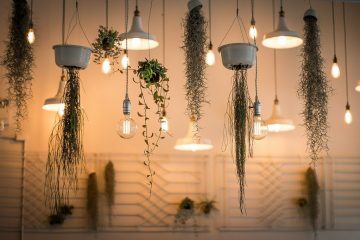 How does this sound as a spot for great travel photography? Hjorundfjord belongs to the traditional district of Sunnmøre in Møre og Romsdal county, Norway and is certainly equal in beauty and charm compared to other fjords of the country! The Sunnmøre Alps are a magnet for those who want to enjoy the wild nature of Norway. Despite the fact that the mountains of the fjords are considered national treasures, the Hjorundfjord is actually a bit of a secret to the world. You don’t want to miss traveling past trailing green meadows and flattering farmlands that scatter across the land. This place is just too gorgeous to rush right through! Take your time hiking under the azure blue skies for the ultimate travel experience. Discover the secrets of the Hjorundfjord and then come back for more! The Oslofjord is 100 kilometers long and is the scenic gem of the city of Oslo. The fjord buzzes with life, especially during the summer seasons, as you can immerse yourself into the history of the city through visiting its museums, cafés, restaurants, and more! Of course, if you want a more active experience, you can kayak, canoe, dive, and sail across the crystal-clear waters of the Oslofjord. The islands of Oslo overlook the mountainsides and the neighboring villages. You can spend a relaxing day on the beach and then hit the city late at night! The Oslofjord offers the perfect combination of a laid-back-vacation feel and a bustling, nightlife experience: ideal for any travel and photography lover. 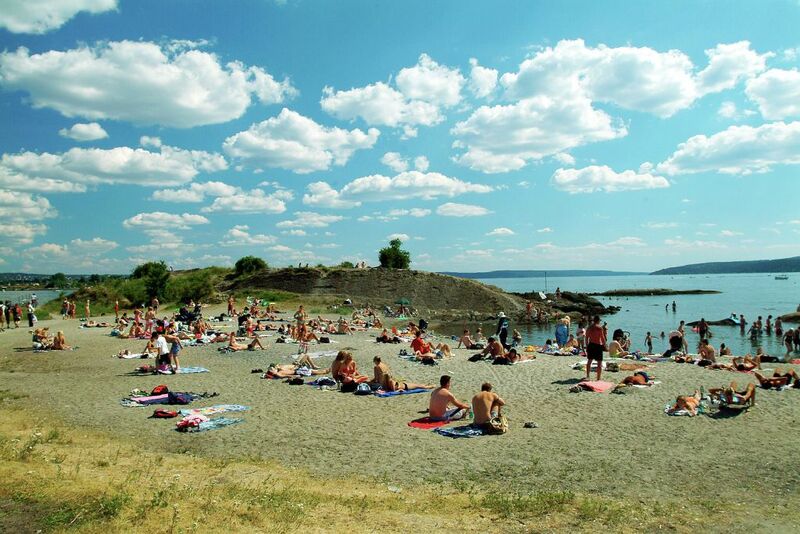 Travel to Oslofjord for the greatest summer getaway! Trondheimsfjord (our last fjord of the journey) is an inlet of the Norwegian Sea and is Norway’s third longest at 130 kilometers long. 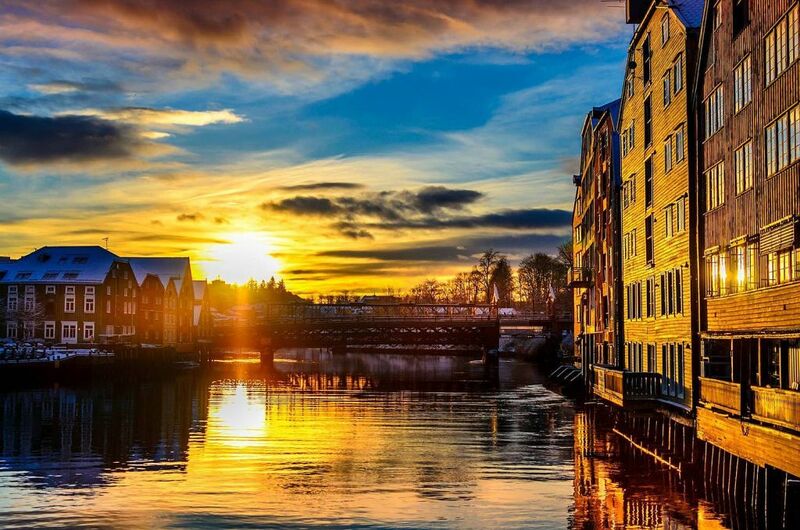 The city of Trondheim holds a special place in Norwegian culture, as it was the first capital of the country. Interestingly, it’s still where new, appointed kings receive a ceremonial blessing that’s viewed by the locals. The Trondheimsfjord is a “must-see” when you travel here and makes for stunning travel photography. Waters run through structures of graceful houses and add such charm to the entire city. You’ll be in the middle of a fairytale and you will never forget the stunning scenery at every corner when you travel here. Most of the local tourism in the country is eco-tourism, as eco-tours dominate the industry in the country to show you Norway’s unspoiled fjords, streams, mountains, islands, and Northern Lights. Green travel is beneficial because not only do the practices prevent harm to the natural environment, but they also bring Norway’s world to life. 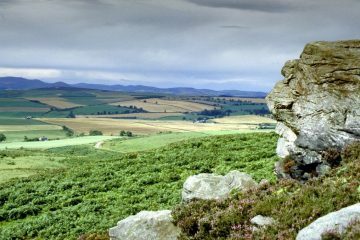 You will be brought back to the past to learn about how the landscapes were formed, all while enjoying the amazing views of the country! Ecophiles: be sure to research eco-tours before your Norway travel dates. Cheers! Love this Norway travel story? Why not share it on Facebook? Check out our Travel Ideas section for more amazing destination spots in Europe!